The Centers for Medicare and Medicaid began reimbursing providers for advance care planning in January 2016. The purpose of this course is to provide detailed information regarding the Medicare codes that provide reimbursement for advance care planning. 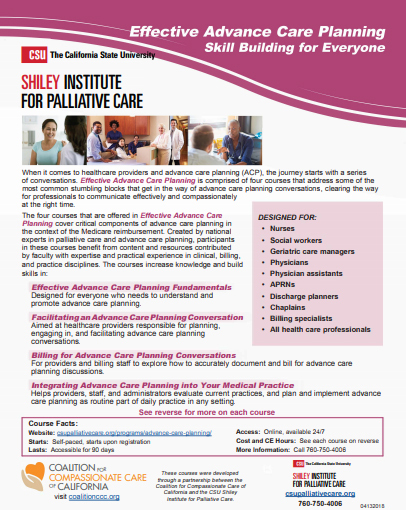 This online course also explores strategies to encourage patient participation in advance care planning conversations. Case studies illustrate how the codes are used in various scenarios, followed by an interactive exercise so students can apply the knowledge learned in the course. 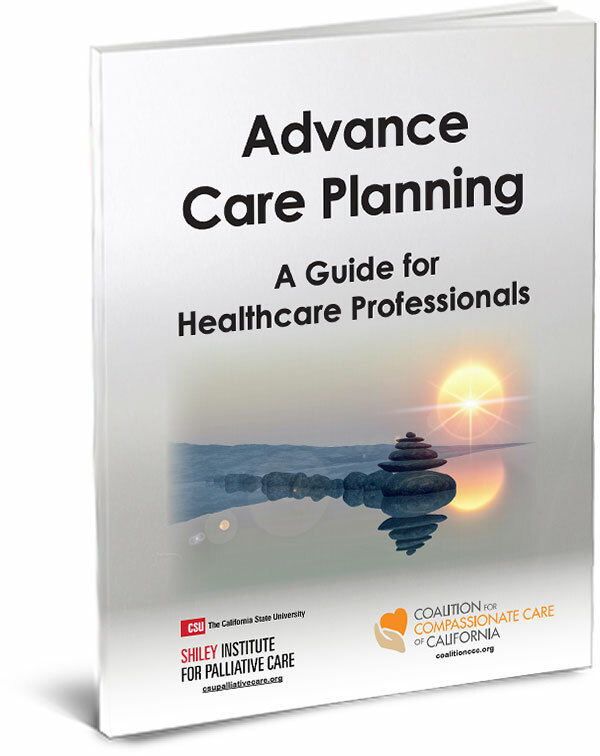 The Coalition for Compassionate Care of California in partnership with The California State University Institute for Palliative Care developed Billing for Advance Care Planning Conversations to help providers receive reimbursement for advance care planning conversations with Medicare patients. The course details the use of CPT codes to bill Medicare for time spent discussing advance care wishes with patients.